Momo the Corgi says: - This is my favorite book this year. A brave corgi chases after a lost hat blown by a gust of wind around all the sights of London.... oh the Queen's in it too. I'd catch that hat and teach it a lesson. Wruf! Young children will love the search-and-find fun of the story, the hysterical mayhem that breaks loose, and Steve Antony's winning art style. THE QUEEN'S HAT shows some of London's most famous sites, and back matter explains their significance. 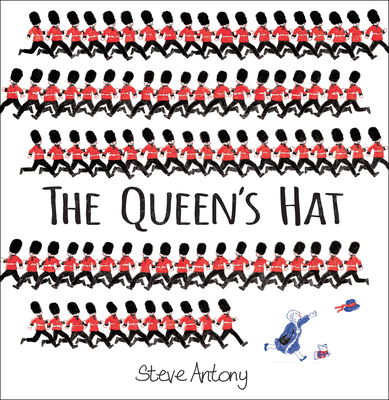 THE QUEEN'S HAT was nominated for the Kate Greenaway Medal in the UK!